Experienced Boston car accident attorneys understand that sometime a case must be filed against parties other than a driver involved in the crash. 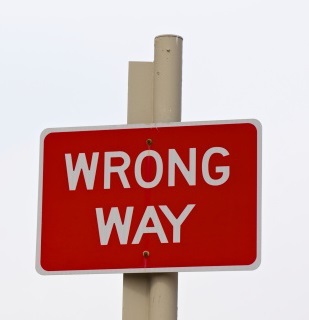 Hughes v. Kia Motors Corp., et al., a case from the United States Court of Appeals for the Eleventh Circuit, involved plaintiff who was leaving the parking lot of a restaurant after midnight, went out the wrong exit, and ended up traveling the wrong direction on a one-way street. Plaintiff realized her mistake and tried to change to the proper lane when she entered an intersection, but a Mack truck hauling a fuel tanker hit her. After the truck came to a stop, plaintiff’s car spun out of control into a gas station parking lot. The car hit another parked car and then ran through a fence and back onto restaurant property. The car then spun onto a nearby residential property, where it sideswiped a tree and was thrown into a carport. The car crashed into the tree, metal support poles, another parked car, and a flagpole before coming to a stop. EMS personal arrived at the scene and found plaintiff already removed from the vehicle. She was unconscious but was able to breath several times a minute with the help of a bag-valve mask. According to EMS, the only obvious physical injury was a cut on her knee. Upon arriving at a local trauma center, doctors determined that she had suffered a traumatic brain injury (TBI), a pelvic fracture, as well as other internal organ damage. Doctors attempted to drain the subdural hematoma in her brain with a medical instrument known as a Scott cannula but were not successful, and plaintiff died at the hospital. Plaintiff’s mother, in the name of the estate, filed a wrongful death action against the car manufacturer. In the lawsuit, plaintiff alleged that the airbag system was defective, it lacked a fuel flow shut-off device, and that the auto manufacturer failed to remedy the known defect and failed to warn plaintiff of known danger. Plaintiff hired an accident reconstruction specialist, who prepared a report detailing how this accident occurred. Based upon a sensor in the truck, it was traveling at just under 40mph as the truck entered the intersection. The truck driver hit the brakes and the truck quickly slowed until coming to a complete stop. At the time of impact, the truck was estimated to be traveling at a speed of 10 to 24mph. The impact occurred at approximately 12 degrees off center, so that is was not considered a T-Bone collision, which would be 90 degrees. The side impact airbag deployed in the car. The car had a front airbag that had been deployed on a previous occasion and was never replaced. According to calculations by the expert and cited in the opinion, had the car had a fuel shut-off device, it would have stopped at the curb and never hit the cars, tree, or metal poles. The problem for plaintiff was that there was no way to prove that she had not suffered the head injury at the time of the collision with truck and not the collision with the other objects. The court excluded the testimony at trial. The appellate court held that the trial court did not abuse its discretion when excluding the expert testimony, because causation is one of the needed elements in any negligence case, and the plaintiff was unable to establish any amount of evidence to support causation. If you are injured in an accident in Boston, call the Law Offices of Jeffrey S. Glassman for a free and confidential appointment: 1-888-367-2900.